Heat oven to 375°F. Spray 13x9-inch (3-quart) glass baking dish with cooking spray. Cook and drain pasta as directed on package, using minimum cooking time. For a fun topping, try gluten-free cheese-flavored crackers instead of potato chips. 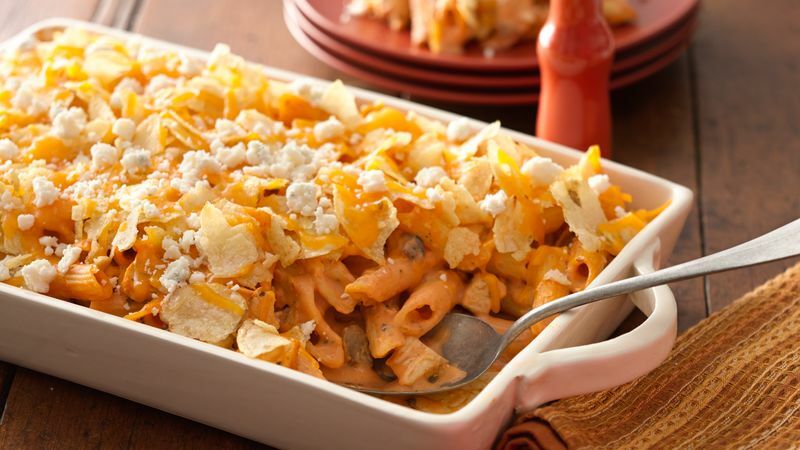 Assemble this casserole a day ahead, omitting chips and cheese; cover and refrigerate. When ready to bake, continue with directions, increasing bake time about 10 minutes or until 165°F.